Up + Over: Detroit goaltender Terry Sawchuk follows his captain, Ted Lindsay, into the crowd at Detroit’s Olympia in November of 1954. That’s Glen Skov, number 12, getting ready to follow their lead. There’s a scene midway through Goalie, the new Terry Sawchuk biopic that opened across Canada this month, and it’s a key one in the story of our beleaguered hero’s unwinding. It’s early in his career in Detroit, and Sawchuk, as rendered by Mark O’Brien, is already starring for the Red Wings, though the cost is already starting to tell. The puck that lies tauntingly behind him in the Detroit net has passed him by with maximum malice, which we know because he’s down on his knees, spitting out his teeth, bleeding his blood. But that’s only the start of it. In the nearby stands, out of the Olympia hubbub, a needling voice rises: “Sawchuk! Sawchuk!” He’s nothing new, this heckler, just an everyday loudmouth, but Sawchuk has had it, enough. When Marcel Pronovost points him out, Sawchuk charges. Downs stick and gloves, skates headlong for the fence, which he scales quick as a commando. That’s the movie. The history is that Terry Sawchuk did scale the wire at Detroit’s Olympia, in 1954, in pursuit of a vociferous fan, though it wasn’t really about him, the goaltender was really only acting in a supporting role, backing up teammates. Credit where credit’s due: it was Red Wings captain Ted Lindsay who led the charge. 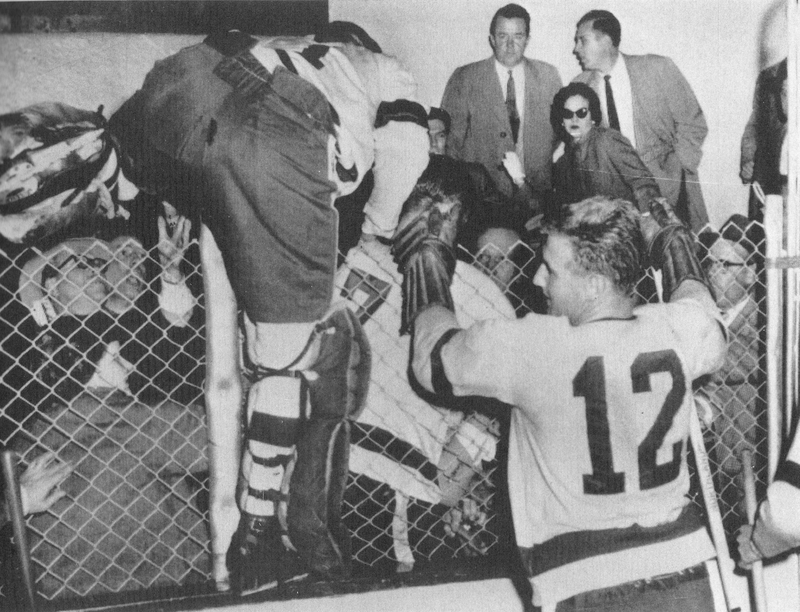 Lindsay didn’t have to do any climbing, it might be noted: whereas Sawchuk was on the ice and saw fence-climbing as his only option to join the fray, Lindsay was already off the ice, on his way to the dressing room, when he identified his antagonist and went at him. In the days since his death on March 4 at the age of 93, Lindsay has been praised as a hockey giant, which he was, no question. A dominant force on ice, Lindsay was a tenacious leader who could do it all, and did, mostly on his own terms. His dedication off the ice to the cause of players’ rights has been highlighted, as has the price he paid for not backing down in the face of lies and intimidation of the men who were running the NHL. Here, for the moment, we’ll focus on a lesserly known episode from his career, a single season among the 17 Lindsay played. 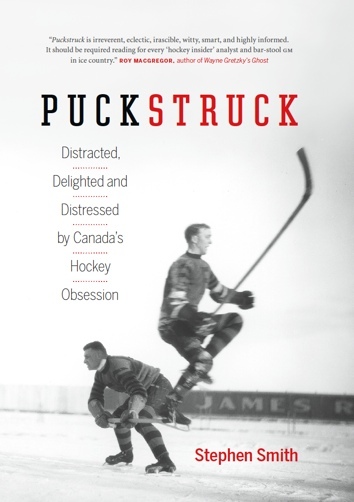 I’ll propose that it offers insights into his later battles with the NHL, and more: it also adds context to events that exploded this very March day, 64 years ago, in Montreal. To do that, we’ll follow Ted Lindsay through the 1954-55 season, which means pursuing him into the crowd for what must (I think) count as his most cantankerous year as an NHLer — it might be one of the most cantankerous season any player played, ever. Lindsay was in his eleventh season with the Wings, his third as team captain. He’d finished the previous season third-best in league scoring, and was elected to the 1st All-Star. His Wings were on a roll: the defending Stanley Cup champions had won three Cups in five years. The NHL’s 38th season is and forever will be charred at the edges by Montreal’s season-ending Richard Riot. It’s with no intent to diminish the importance or damages inflicted by those ructions, nor with any disrespect to Richard, that I’m going to posit here that, when it comes to instigating uproar, Ted Lindsay’s ’54-55 is a remarkable one in its own (if mostly forgotten) right. Also: imagine, if you would, a circumstance by which, in today’s NHL, one of the league’s marquee players, captaining the defending Stanley Cup champions, finds himself implicated in altercations with spectators, not once or twice, but on four separate occasions. It would be the story of the season — though not in ’54-55. Is it possible that this player would still be around to be to contribute to his team’s winning a second successive Cup? It is, and was — in ’54-55. A bit of background is in order here. Early in November, 14 games into the season’s schedule, Detroit traded centre Metro Prystai to Chicago in exchange for a mostly untested right winger named Lorne Davis. A valuable cog in the Red Wings machine that won Stanley Cups in 1952 and again in ’54, Prystai was also a good friend and roommate of Lindsay’s and Gordie Howe’s at Ma Shaw’s rooming house. With Howe out with an injured shoulder, Prystai had moved in to take his place on Detroit’s top line, alongside Lindsay and Dutch Reibel. For the defending champions, this wasn’t so much a hockey trade as a league-mandated equalization pay-out. Detroit didn’t pull the trigger so much as the NHL decided that the swap would help out Chicago, of the league’s perennially worst teams. Call it collusion, set it aside as an exhibit for some future (never-to-be-launched) anti-trust ligation — to the men in charge of NHL hockey, it was merely good business. Four players were involved upfront: Chicago got Prystai and Montreal’s Paul Masnick, while Boston landed Leo Boivin from Toronto. The Leafs got Joe Klukay; Detroit landed Davis; Montreal’s piece of the pie was to be named later. But Detroit was seething. “Is big-time hockey a legitimate sport or just a family syndicate?” Marshall Dann wondered in the local Free Press. Marguerite and Bruce Norris co-owned the Red Wings while another brother, James Norris, ran the Black Hawks. The word was that Red Wings’ GM Jack Adams didn’t know about the Prystai deal until it was already done, telling Prystai, “I’m sorry, they ganged up on us.” Adams accused Smythe of trying to break Detroit’s morale. No more would he serve on NHL committees, he said, and he vowed that he’d be boycotting Red Wings’ road trips to Toronto forthwith, as well. Somehow, someone convinced them to play. They did so, let’s say, in a mood. As order, or something like it, was being restored, Leaf coach King Clancy chimed in. “That’s the first time I ever saw you drop your stick in a fight, Lindsay,” is how Nickleson heard it. What he saw, next, was Lindsay throwing a glove at the coach. “The glove — it belong to Thomson — brushed Clancy and was lost in the crowd behind the bench.” Lindsay threw a punch at Clancy, too, but missed his mark. Toronto won the game. Sid Smith scored the only goal and Leaf goaltender Harry Lumley, a former Wing celebrating his 28thbirthday, contributed a shutout. 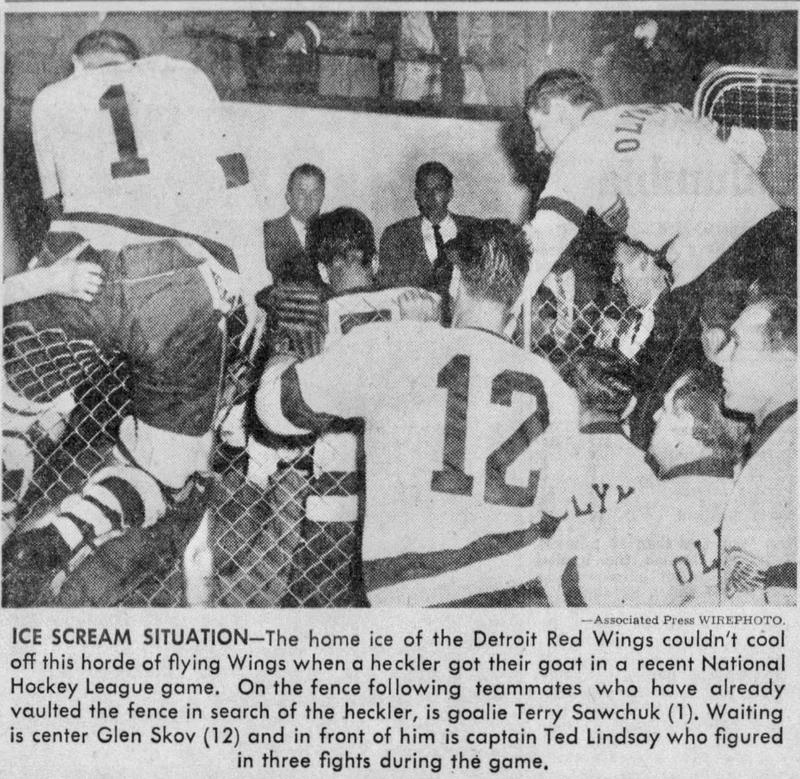 That can’t have lightened Lindsay’s temper, and when a fan spoke up as the Wings were headed off the ice, the Detroit captain decided to climb the wire and chase him down. He may have landed a blow or two — certainly he was swinging — although the action was partially hidden by fans, and by other Detroit players clambering over the high screening. Even Sawchuk, goal pads and all, made it with the help of a boost from a teammate. Bob Nevin of the Toronto Maple Leafs lost a contact lens on the ice at Chicago Stadium in 1962, as you’ve maybe heard. Maybe not, though: in all the glorious tumult of the NHL’s hundred-year history, it’s not exactly a highlight. If the momentary mishap lives on at all, it’s because there’s this great photograph of the aftermath, when Leafs and Black Hawks and referees joined together and did their very best to spy Nevin’s lost lens. Turns out it wasn’t the last one to go missing on Chicago ice. 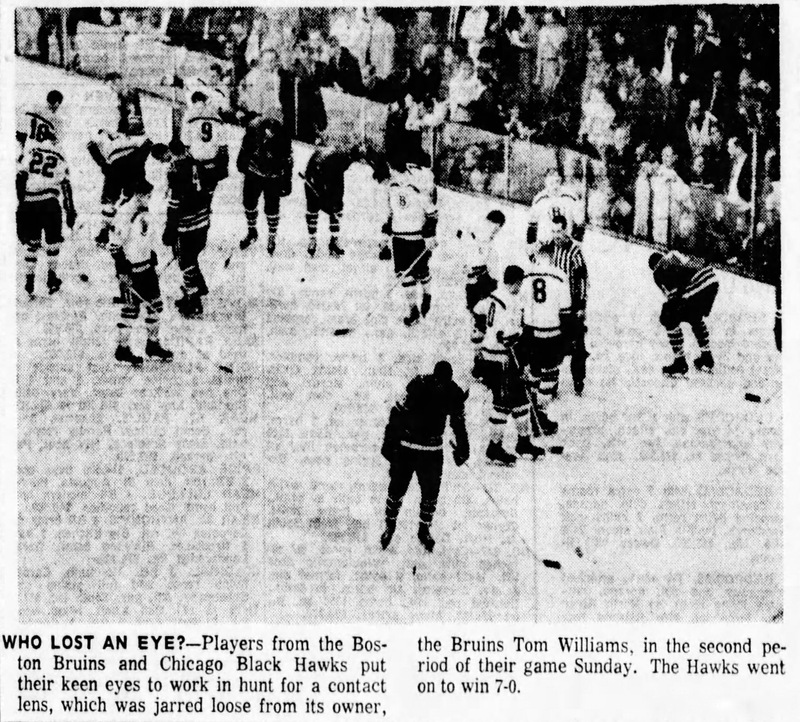 Almost three years later, in February of 1965, Boston Bruins’ right winger Tommy Williams lost one of his contacts on Stadium ice, leading to the search depicted above. Williams was a member of the 1960 U.S. team that won Olympic gold at Squaw Valley before he found his way to Boston the following year. He was touted, then, as the first American-born player to play regularly in the league since Frank Brimsek’s retirement in 1950. Williams later played for the Minnesota North Stars, the California Golden Seals, and the New England Whalers of the WHA, before a last stint in the NHL with the Washington Capitals. In ’65, Chicago’s Eric Nesterenko wass implicated in the second-period collision that separated Williams from his eyewear. Was the subsequent all-hands search successful? No, it was futile. That contact was good and gone. Other features of the game? In the third period, Boston’s Orland Kurtenbach swung his stick at Doug Mohns of Chicago, who swung back. Referee Bill Friday gave the two of them match penalties for attempting injury. Chicago won 7-0, with Stan Mikita scoring a pair of goals. First to deploy contact lenses regularly? That would seem to have been Montreal Canadiens’ left winger Tony Graboski in the early 1940s. He was an evangelist of sorts, too: when Dutch Hiller was working the Boston wing in 1942, he credited Graboski with convincing him to get fitted with contacts of his own. “There will never be another Gordie Howe,” is what Bobby Orr was saying last week, in the days following Howe’s death on June 10 at the age of 88. “He was everything to me,” Wayne Gretzky told NHL.com. “My best Christmas ever, I was five years old and my dad — I mean Santa Claus — bought me a Gordie Howe sweater, which I wore for the whole year.” That’s Gretzky again, back in 1994. The same article, from Reuters, goes on to say that when young Wayne pleaded with his father, “a barber,” to cut his hair Gordiewise, Walter Gretzky had to explain that Wayne had too much hair and Gordie too little. “His elbows were the best,” Joe Peacock wrote in 1997. 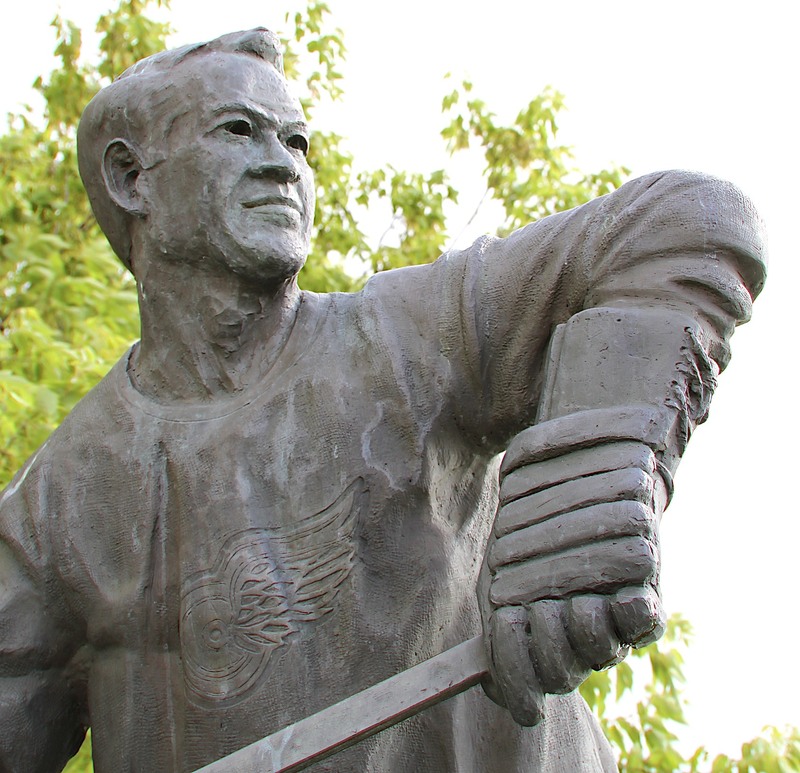 At some point this afternoon during Detroit’s game with Chicago at the Joe Louis they’ll be singing “Happy Birthday” to Gordie Howe, who’ll be there, on the day he’s turning 85. That’s from a short video that was making the rounds last week as NHL players including Dion Phaneuf, Kimmo Timonen, Ryan Smyth, and Teemu Selanne — “You’re da man,” he said — stepped up with their happy returns of the day. • As a boy growing up in Saskatoon, Howe caught sturgeon in the South Saskatchewan River, right behind the Bessborough Hotel, where they’d pay $10 a fish at the kitchen door. Also, in eighth grade, playing for King George School, he once scored 14 goals in a 15-0 win. He also added an assist. • The headline on the front day of The Detroit Free Press the day after an 18-year-old Howe made his NHL debut against Toronto: “Goering Kills Self.” He — Howe — played on a line with Sid Abel and Adam Brown, who helped him score a goal in a game that ended in a 3-3 tie. The Leafs’ Bill Ezinicki helped him get into his first fight. • In 1963, on his 35th birthday, the Red Wings beat Chicago 4-2. Howe, noted a reporter, “slipped away from his convoy, Eric Nesterenko” to score a goal and add two assists. • www.gordiehowe.com is the place to satisfy all your Howe souvenir needs, whether it’s a doubly signed unframed photograph of Howe with golfer Jack Nicklaus (US$999) or an autographed Red Wings’ sweater (US$599). 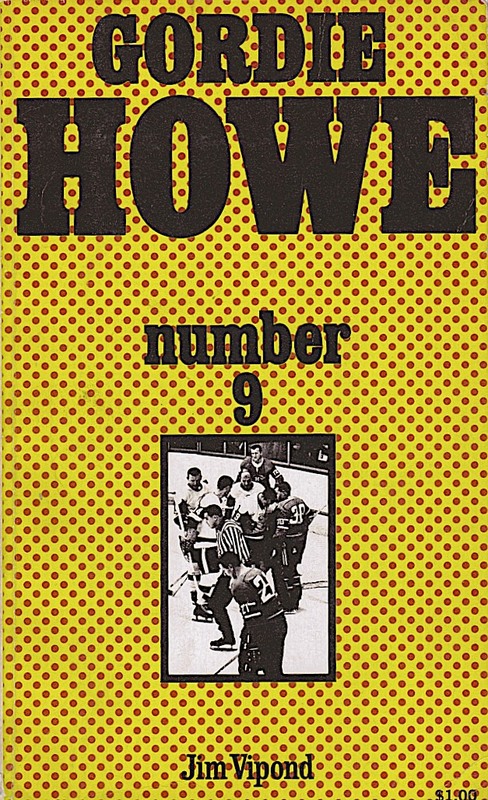 Also available on the site is a gratis list of Howe’s nicknames, which include Mr. Power, Mr. Hockey®, The Great Gordie, Mr. Elbows, The King of Hockey, and Number 9. 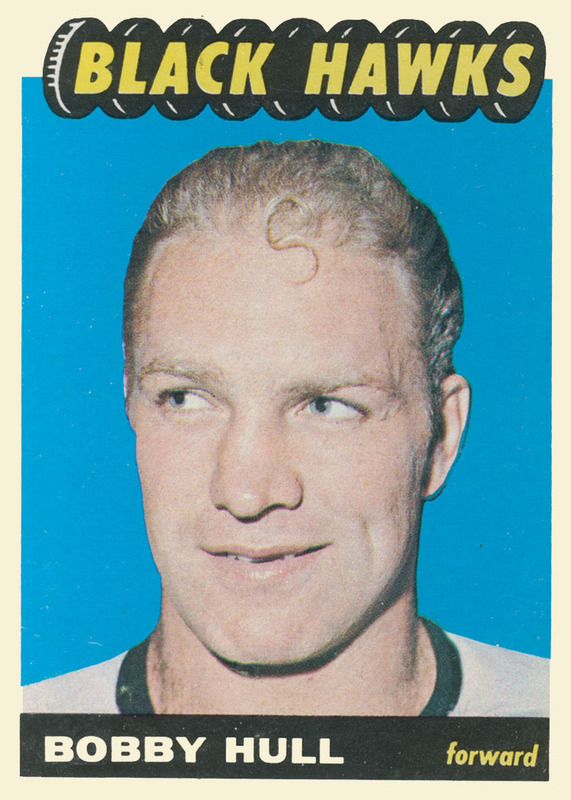 • If you’re scoring at home, you may have had Howe’s career facial stitch-count at 300 — or as a newspaper put it in 1972, “enough to sew your average couch.” There’s no consensus on this, though. Other accounts put it at 500, of which 300 were to the face (“you have to peer closely to see their delicate tracery,” noted The Edmonton Journal in 1971). gordiehowe.com says 500, all of them in the face. • In March of 1959, celebrating Gordie Howe Night ahead of a game with Boston, the Red Wings presented Mr. Elbows with an Oldsmobile station wagon. Inside were his parents, who’d flown in from Saskatoon. In Howe’s 13 years in the NHL, it was the first time his father Albert had seen him play. • The Hallmark Channel has made a movie for TV about the return to hockey Howe made in 1973 at the age of 45, coming out of retirement to play with his sons Mark and Marty for the WHA’s Houston Aeros. Mr. Hockey: The Gordie Howe Story debuts May 4, with Michael Shanks in the lead role and Kathleen Robertson as Howe’s late wife Colleen. 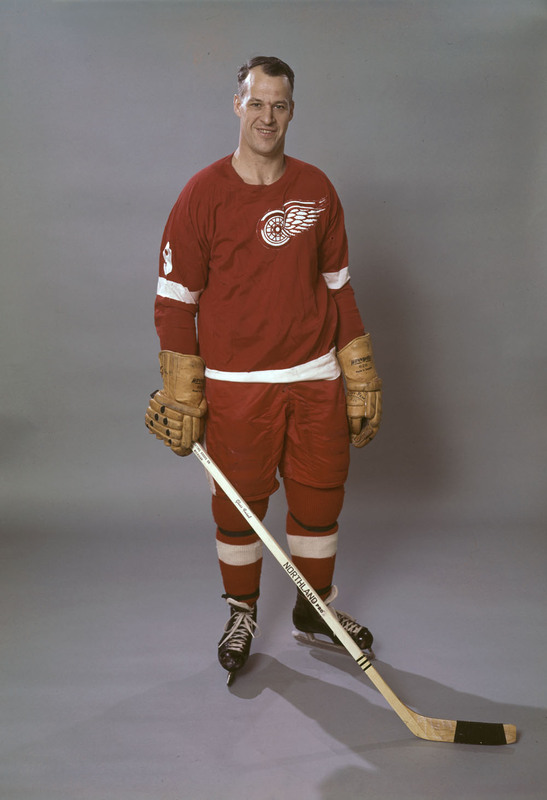 There was the time not long ago that Gordie Howe had a distinct dislike for anything yellow. It made him see red. FIRST. Available soon from the world’s worst distillery? Bobby Hull’s voice is, quote, testosterone aged in oak kegs, according to Gare Joyce in The Devil and Bobby Hull (Wiley). • Roy MacGregor in a 1978 profile of Guy Lafleur, collected in his new compendium of hockey writings, Wayne Gretzky’s Ghost (Random House Canada).